The Price Has Been Reduced By Over $50,000 On This Home With Ocean View And Commercial Frontage!! Now Only $395,000!! 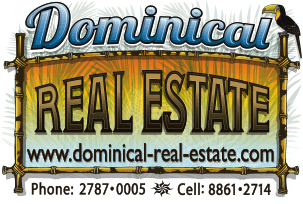 This 3.5 acre property is located just north of Uvita and touches the paved highway. It also has a paved driveway for about 100 meters that takes you to the gated entry. It has several large building sites and is perfect for a hotel or villas. The main building site already has a partially finished 2 bedroom home that could be the main structure for the hotel. From the house you have an excellent ocean view looking out at the Ballena Islands, the waves crashing on the famous Whales Tale, and the Osa Peninsula in the background. The key to this property is the access. It has 80 meters of highway frontage perfect for commercial use or just exposure for the business. Obviously most people that come here on vacation don't want to drive up a long dirt road to get to their hotel which makes this the perfect site. It is also only a 2 min drive from the center of Uvita and a few more minutes to the beach! This property is also perfect for someone that just wants a home with easy access. The combination of view, buildable space, access, location, and price make this a property worth looking at!! !